Seventh book published by Penkiln Burn. This book is an edition of one, printed over six volumes. 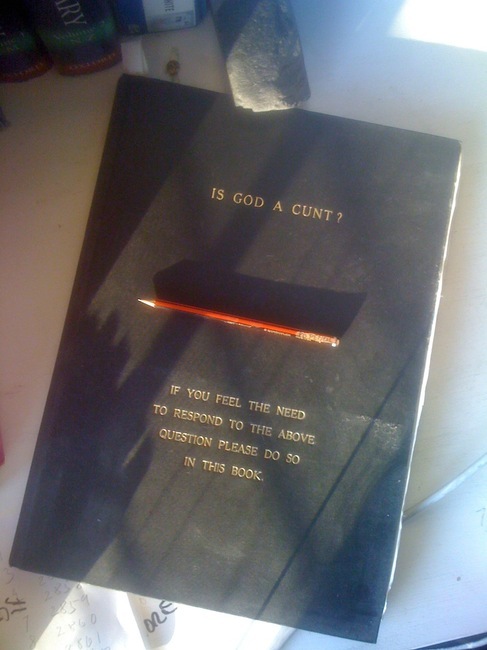 Each of the volumes exists for people to express their response to the question posed in the title. 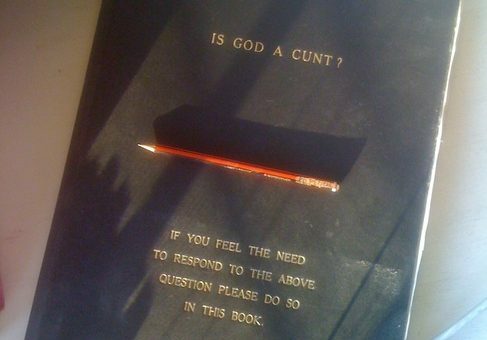 These books have only been made available to the general public on a few occasions. Four of the volumes were stolen from the exhibition New Religious Art at St Peter’s Church, Seel Street, Liverpool in September 2002. While this is related to one of Bill’s many works it does not necessarily feature any contributions from him.